We never get enough to decorate our kitchen better, however, we need a real comfort zone when we have time in the kitchen. Sometimes, the kitchen always becomes our favorite place to spend our time with families or best friends. Maybe, we ever thought that we need to change something in the kitchen to make a brand new feeling. 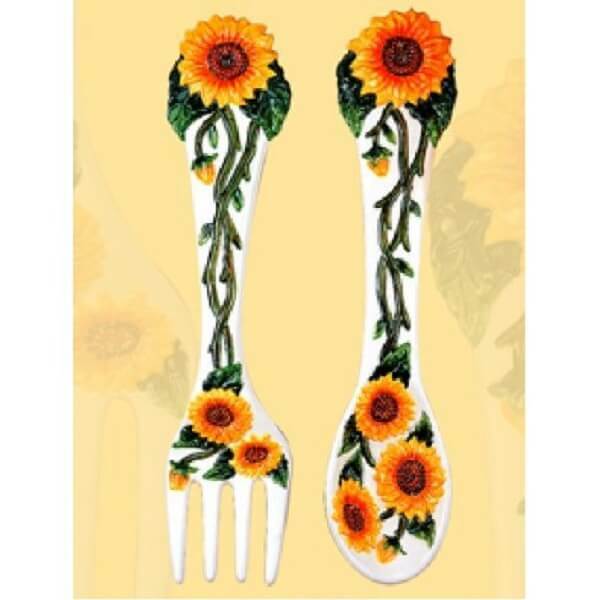 We can update the big or small object, such as the chairs, table set or the other kitchen decor. Have a cup of coffee or some drinks with friends will be so much fun if we sit on the perfect table set with very nice style and look. 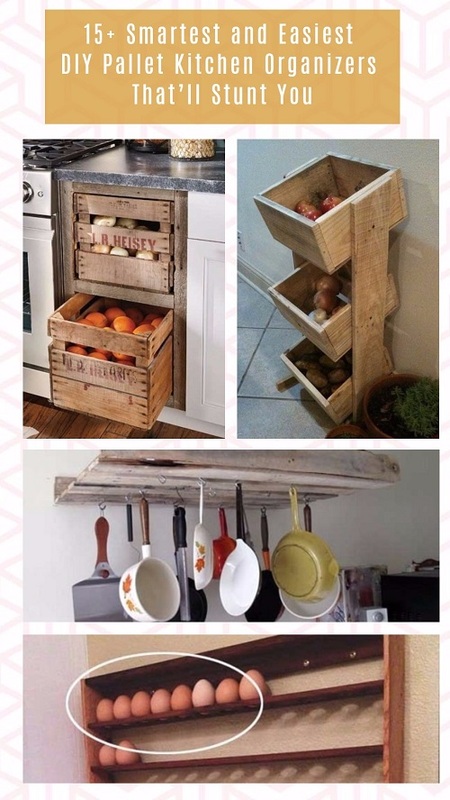 Nowadays, we can find some crazy or supremely unique kitchen table style. But do not forget, we need also another table to complete the perfection in our kitchen. How about to add the pub style kitchen table set? 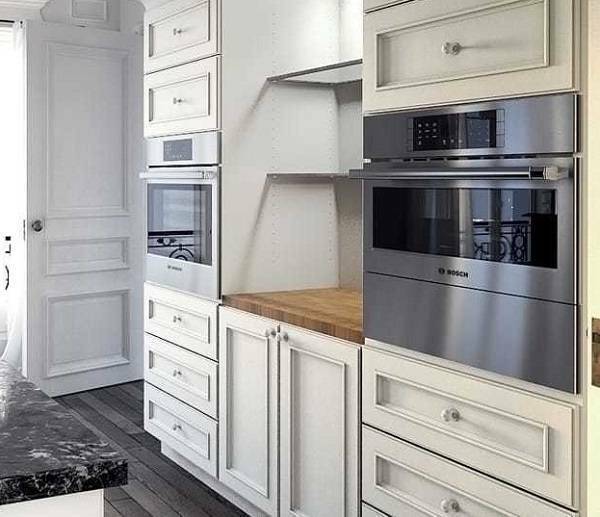 yes, we do not need to put too much attention only to one object in the kitchen, we also have to think and make the decoration balance. For example, adding a pub style table will be more effective than update your kitchen with a big dining table in a medium kitchen size. 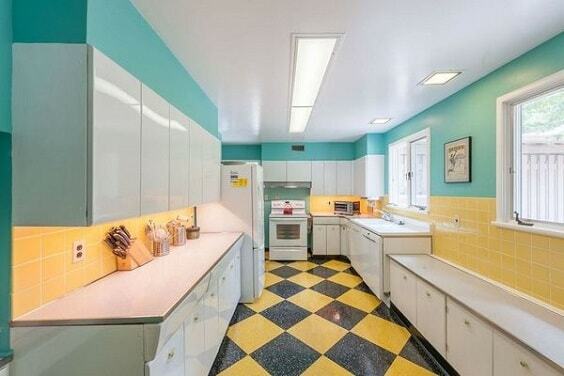 We have to be smart to decor our kitchen in minimalist space. 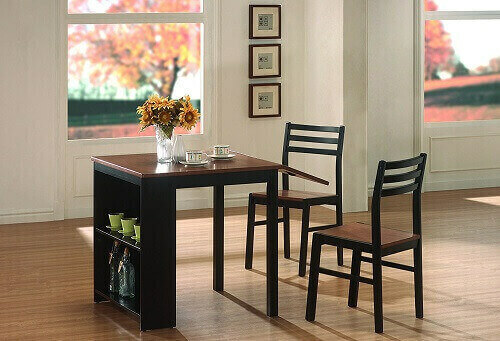 Pub style kitchen table set is a good and right answer to your kitchen needs. Give a new style and nuance to live up the experience, we can find a variety of pub style table lately. It comes in a different space, colors, shape, and style. 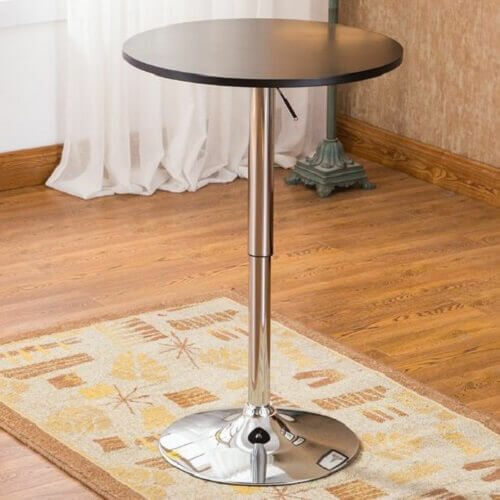 Many choices of good pub style table that will make you confuse to consider it, but you can choose the one that related and has a strong connection with your kitchen’s theme. Here we have some beautiful pub style kitchen table for you below, check now! This pub style table set is really nice and suitable for your kitchen with each four ottomans features the convenient storage space. This pub style set is also ideal for a small home or apartment with limited space. Each seat is upholstered and padded too with taupe vinyl. You absolutely can update and save space your lovely kitchen with this baxter dining set. 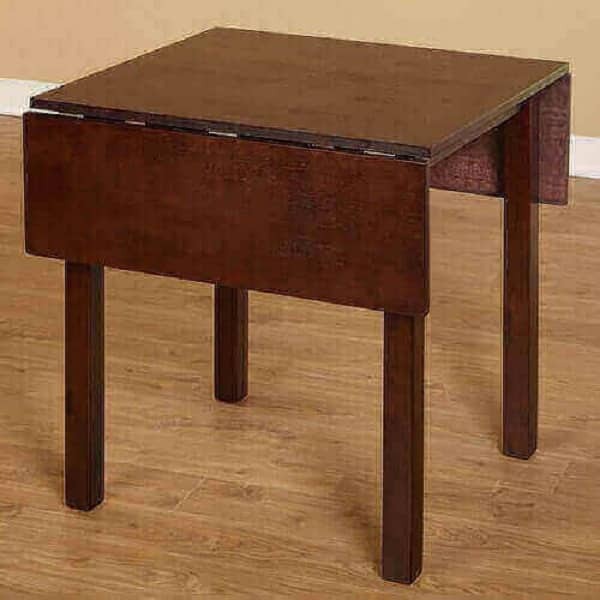 The table dimensions are 31″W x 31″ D x 29.7″H, and for the storage ottoman inside dimensions is 13.75″W x 13.75″D x 15.75″H. It is also charming with a contemporary style. 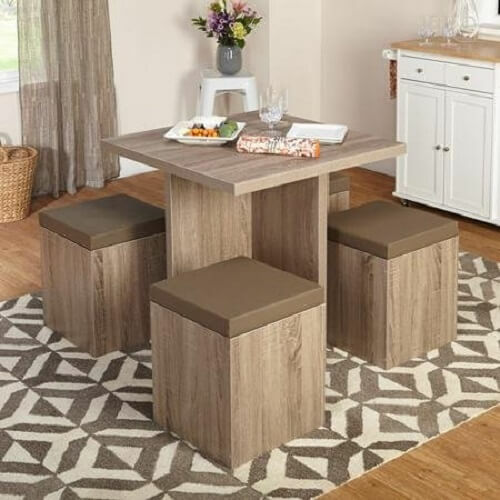 This Myrtle space saver table set looks great and modern. You can always enjoy your coffee and have a good conversation in the very effortless style. The silver and black colors make it feel like a touch of modernism world era. The contemporary style is a nice combination with the straight tube legs. The metal construction is strong enough. You can see that the moon shaped piece, you can put it up against the wall to save the space. At the first time, you see this pub-style table set, you will find a new sensation of enjoying your time. 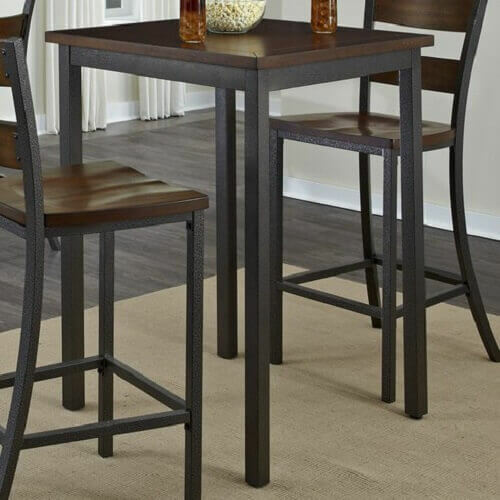 The contemporary transitional style of this table set makes us comfort when sitting down and lounge. What a beautiful look and design, with that sleek look from legs and the sturdiness of the design. It comes with faux leather upholstery and matches with the black-hued color. It also provides the curved openwork spindle back and a glamor footrest to invite us to relax while having a quality time with family. 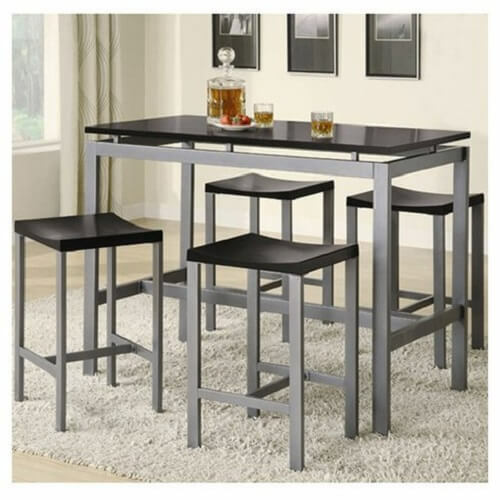 You can place this pub table set in the corner of your lovely kitchen or apartment. 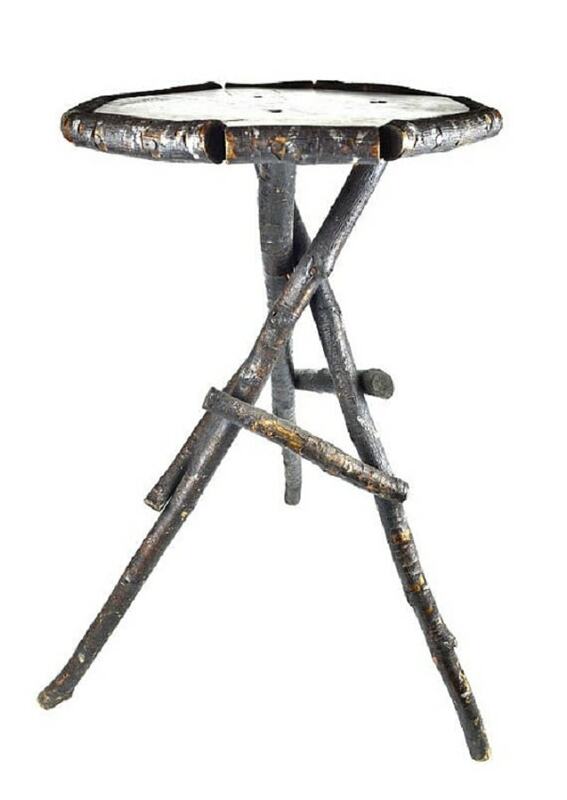 These stools also can be placed on the pub table, and you can place this pub style table in outdoor once, because it is protected from the elements of weather. Now, this the trendy and classic one out. The shape, color, texture, and style is gorgeous. 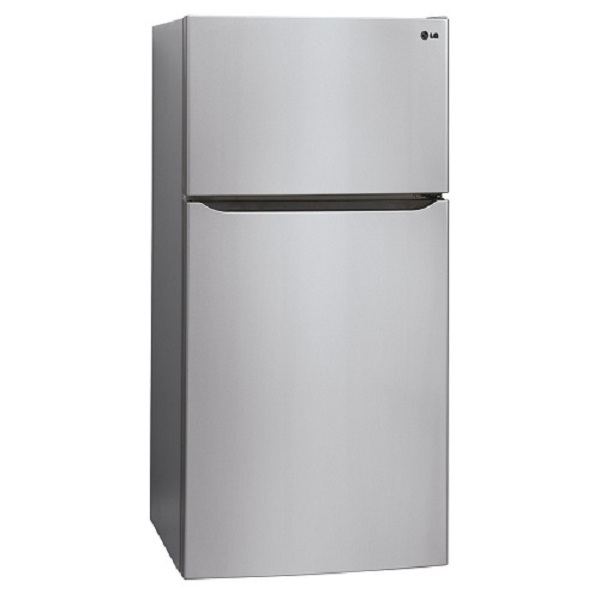 This Dora pub style is worth it to buy, you can bring this home in $179.99. 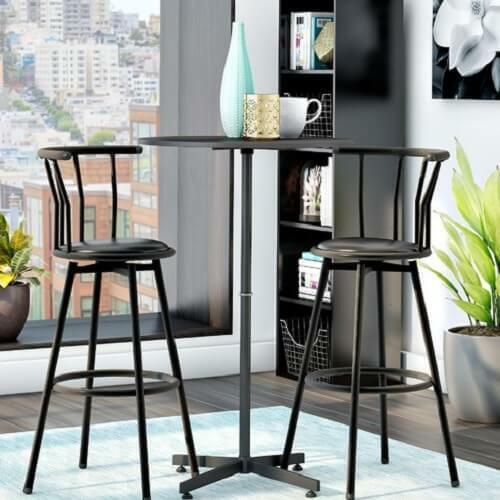 The Dora table height and stools really create a super trendy space in your kitchen room. With the dark oak that around on the top, the arched stretchers and angular legs. It can be a good conversation piece in your gathering or drinks area. The armless and backless featured and complete every inch of the perfection of this table set. The next pub style kitchen table is Ashlyn pub table by Trent Austin Design. There is chestnut finished wood and hand distressed details on this table set. 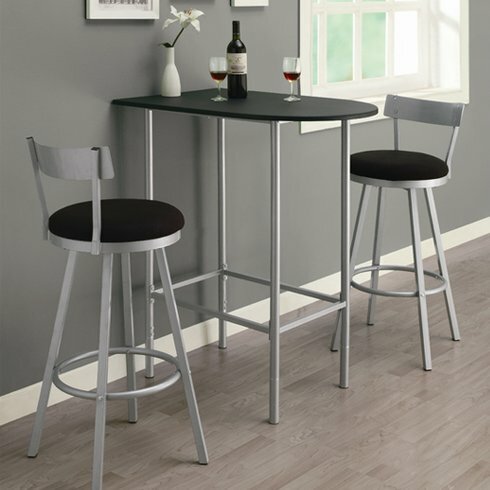 We can make a relax and enjoy conversation spot in the kitchen with this metal frame bistro. You can also use this as a casual dining spot and object for meal and snack time with your beloved people. The material of the construction is metal base and wood. The dark brown in the leg finish makes this look fabulous to the eye. 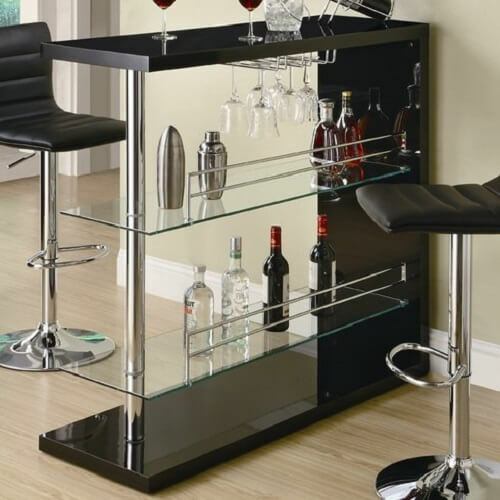 Not only these all, you can use it as a good alternative home bar, complete with a tray of beer and rocks glasses. The next good thing to decorate your lovely kitchen is this pub walnut and black style. 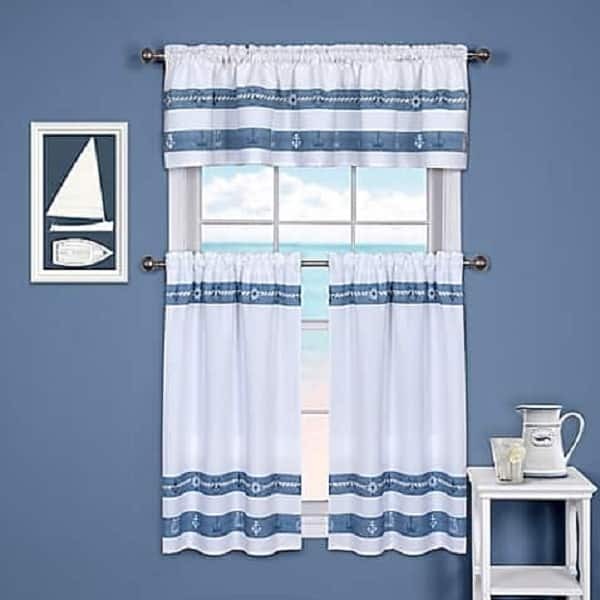 It comes in a two-tone finish with the casual style that makes it better, a highly recommended to use it in any corner in your kitchen or dining room. Having a breakfast or just drinks and meal time with your beloved family members or friends will be funnier. 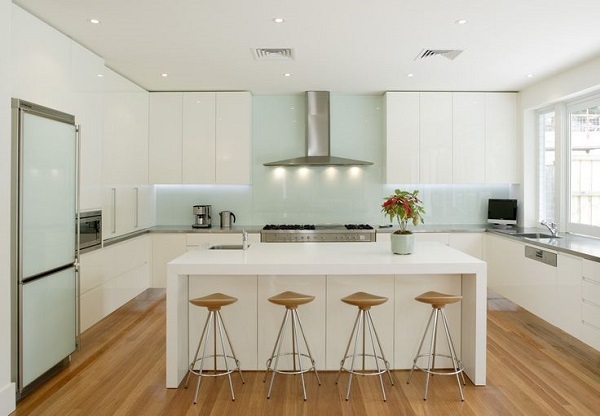 The sweet and natural brown color of its look really add some positive impacts to develop your kitchen nuance. The shelves that you can see from the picture are built into the small piece a good as a fold out table, it can give you an extra space in the kitchen. The dimension is 40.75”×29.50”×30.00”. For the chair dimension is 5.75”×17.50”×32.50”. 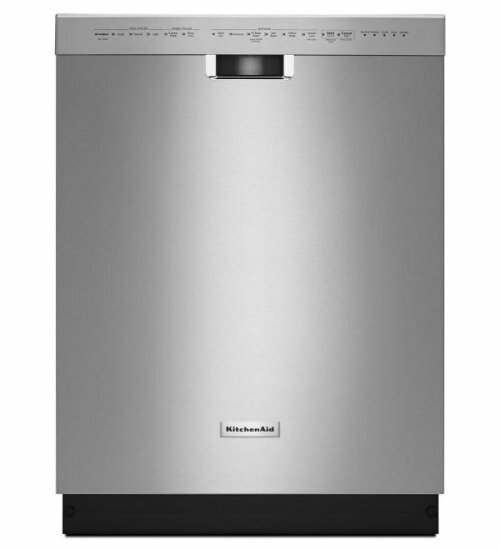 You can bring it home only at $189.00. The convenient storage and super stylish design come together with this stunning counter-height pub style kitchen table set. It is better with 2-tone finish and also these spindled chairs that complete the pub-style experience. As you can see on that picture, that open shelving offers convenient storage for saving essentials, plates, and stemware. There are two padded chairs and one pub style table in this set. The color finish of the table top is brown and on the base finish has a black color. This Richland pub style kitchen table set is the next choice for you, it can be an ideal and suitable addition to your kitchen or dining room. The sturdy table that made of hardwood and nice veneer really show its durability and awesome looks. it also can be a romantic spot for you to have a conversation at a beautiful night with your darling. It creates a warming atmosphere by its simple and classic color. Two beautiful chairs with matte black color and solid dark color from the bottom really refresh our mind and give you spirit when you spending time on that. To preserve its looks, you can simply wipe and clean this up with a damp or cloth. 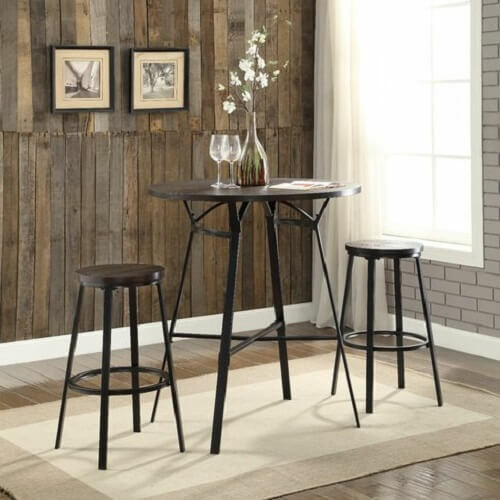 The material of this pub style table set is wood veneer and solid wood. This pub style kitchen table set has beautiful and clean lines, it is suitable for any theme as a home decor too. Highly recommended to use this pub style table for dining or kitchen area. You can see the smooth straight edges that combined in the rectangle shape. The detail material wood is from oak and birch. 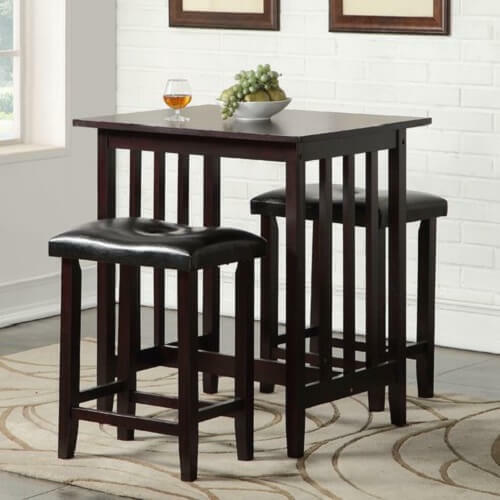 In the set of this pub style table includes one dining table and four bar stools. With the solid and manufactured wood construction, this table looks so gorgeous and really add perfection to your kitchen. 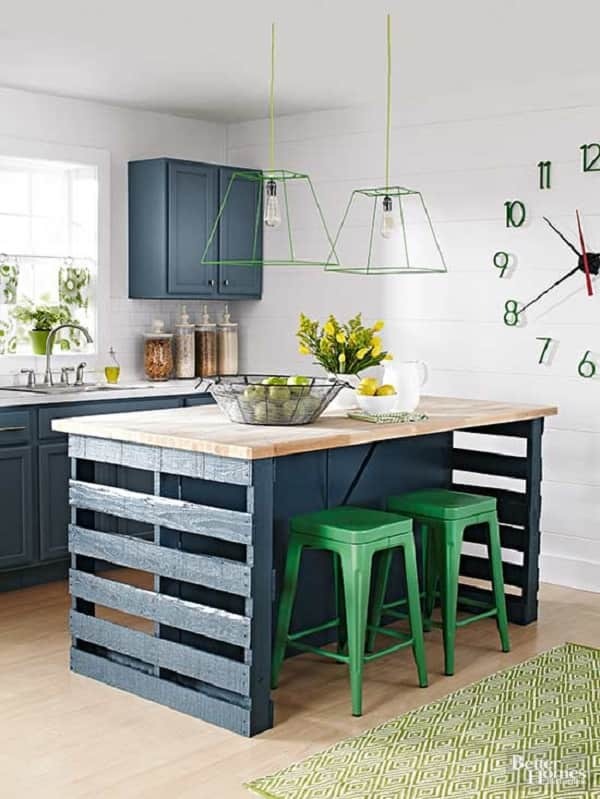 This pub style of the Scholar Vintage Industrial really adds convenience to the kitchen and dining space. 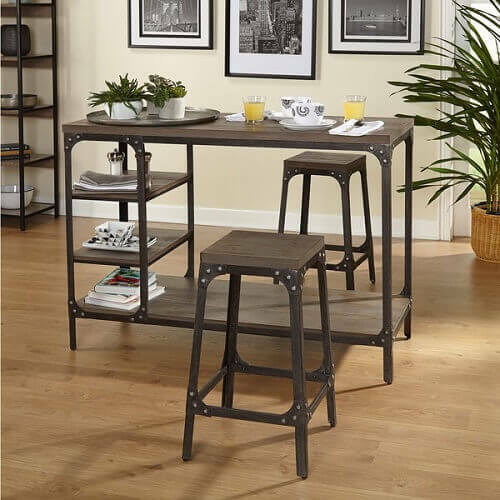 Each piece of this pub style kitchen table set is crafted with a fantastic gray metal frame and has a natural wood on the top. 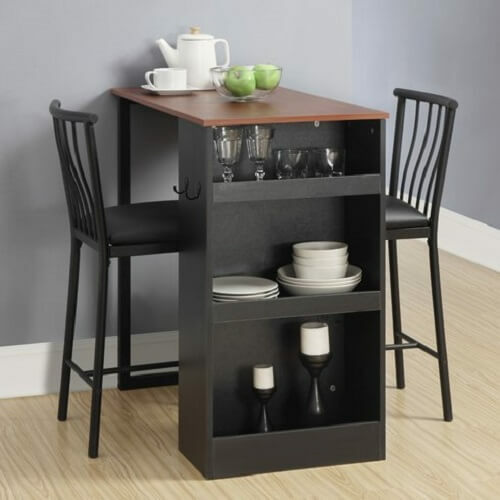 The counter – height pub style table has some additional side shelves. The materials of this table set are MDF with metal frame and veneer. The table dimensions are 37 inches high x 20.25 inches deep x 49.1 inches wide. For the seat is 12.3 inches wide x 12.3 inches deep, and for the bar stool is 26 inches high x 14 inches wide x 14 inches deep.